The yearly lecture programs is a mix of presentations by members of the Historical Society and local residents based on their own on-going historical research and scholars who will discuss various topics of interest. These lectures are open to Members and the general public. Students from Phillips Academy have been working on an exciting project in North Andover's Old Burial Ground this fall and shared the results on November 7, 2018. Phillips Academy students reviewed what they have accomplished so far and where future class-work is headed in the coming few years, as Professor Donald Slater's students move towards creating an integrated online database of the existing stones. This was a joint program with the North Andover Historical Commission. Richard Hite, author of the recently published book In the Shadow of Salem: The Andover Witch Hunt of 1692 discussed these parallels in a presentation at the North Andover Historical Society on October 12, 2018. Witch Andover, Which Andover? 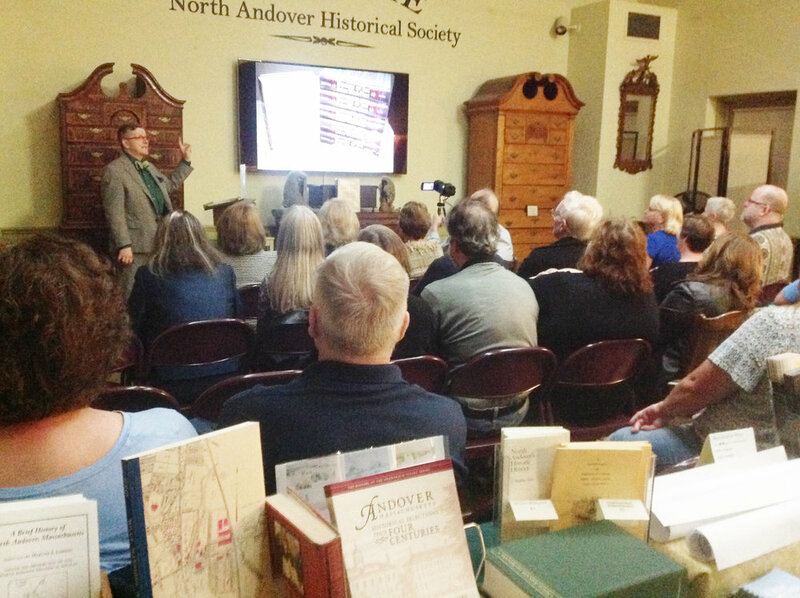 Hosted by the Andover and North Andover Historical Societies --Local historian, Char Lyons, explored the history and lasting consequences of the Witch Trials and how they shaped Andover as we know it today. Did you know that Andover Village (what is now Andover and North Andover) was a big part of the Salem Witch Trials? In fact, there were more people accused in Andover Village than in what is now Salem. 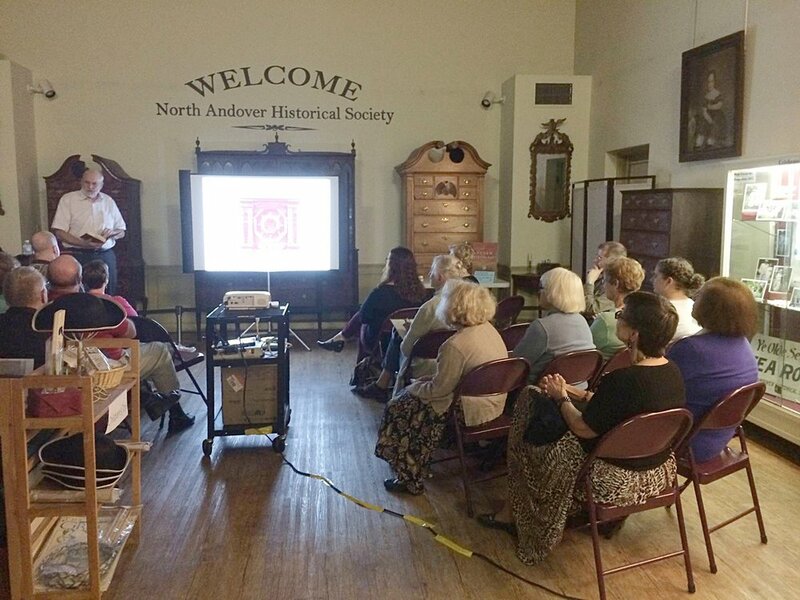 The North Andover Historical Society hosted a lecture, “Accused and Accusers in the Old Burial Ground,” with archivist Richard Hite, archivist at the Rhode Island State Archives. He presented his research on the witch trial related burials in the Old Burial Ground. Mr. Hite is currently preparing his book on the Andover phase of these trials for publication within the coming year.